A simple, basic recipe for overnight oats that you can tweak to make your own. They’re easy to prepare and perfect for an on-the-go breakfast. I’m giving you the details on all things overnight oats and sharing how to eat overnight oats year-round. I’m a HUGE fan of warm oats, but overnight oats have held a special place in my heart since I discovered them in 2009. 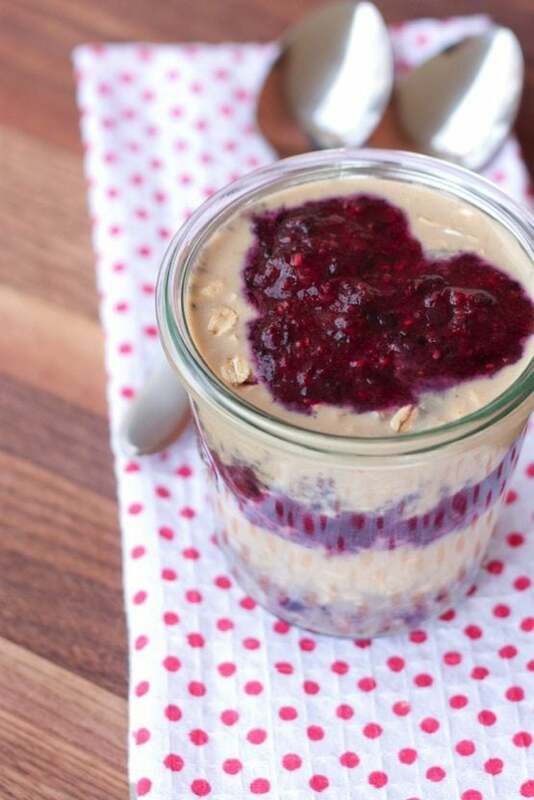 Overnight oats are so easy to prepare and the combinations of flavors are truly endless. I love that I can prep everything the night before and wake up to a ready-to-eat breakfast. 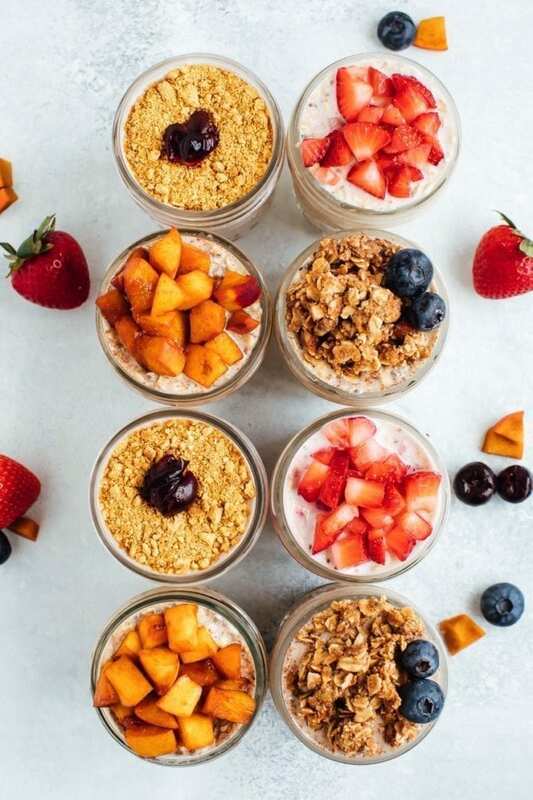 I’ve experimented with so many different flavors and have compiled my favorite recipes but first… let’s dive into some facts about overnight oats! The base “recipe” for overnight oats is so simple! After you have your base, you can customize it with any toppings or flavors you like. I typically mix 1 part oats with 1 part non-dairy milk of choice (usually 1/2 cup oats + 1/2 cup unsweetened vanilla almond milk). If you’re feeling fancy, add some chia seeds or a little vanilla extract. Mix everything together, cover and put in the fridge overnight. Note: chia seeds absorb a ton of liquid so you may need to use more milk if you’re adding chia seeds. In the morning, the chia seeds and oats will have absorbed the liquid so you’ll have a delicious combo that’s ready to eat! Eat as is, or add in fruit, nuts, nut butter…the combinations are endless! Check out the base recipe and all the fun flavor ideas below. 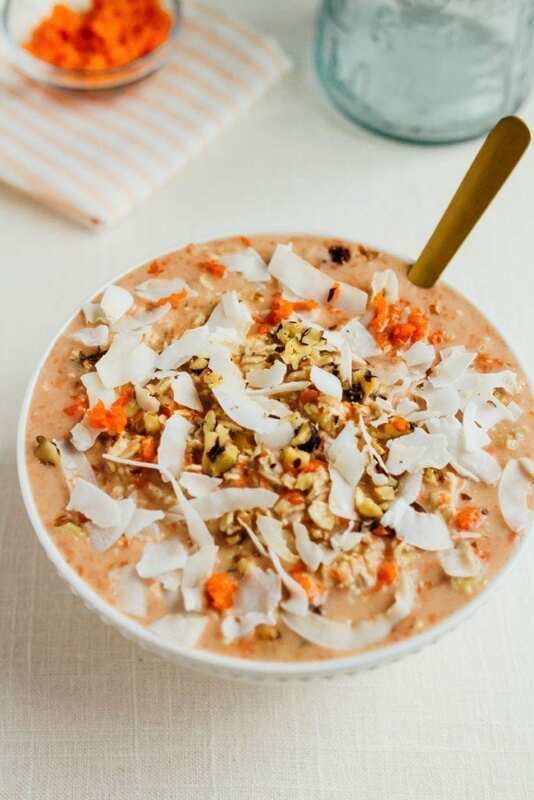 If you make this basic overnight oats recipe, please be sure to leave a comment and star rating below. 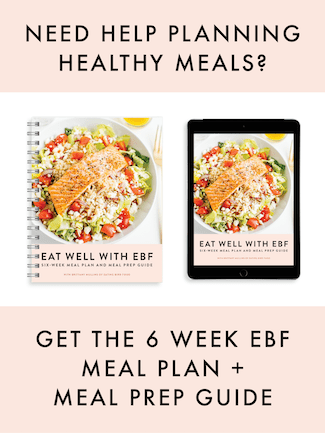 Your feedback is super helpful for the EBF team and other readers who are thinking about making the recipe. A simple, basic recipe for overnight oats that you can tweak to make your own. They’re easy to prepare and perfect for an on-the-go breakfast. toppings of choice: fruit, nut butter, nuts, seeds, etc. Add oats, milk, yogurt and sweetener into a jar or storage container with a lid. Stir ingredients together. Place in the fridge overnight (or just 30-60 minutes if you’re in a rush and making them the morning of). The next morning, remove lid and give oats a big stir. If they seem too thick you can add a little more almond milk. Top with your favorite toppings and enjoy. You can eat the oats straight from the jar or pour into a bowl. Nutrition information does not include toppings. Can you eat overnight oats hot? Short answer, yes! You can definitely warm up overnight oats, but the whole point of overnight oats is to eat them cold like muesli. 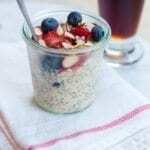 If you can’t stand the thought of eating cold oats, just pop the oats in your microwave, cooking in 30 second increments until the oats are warm throughout. Can overnight oats help you lose weight? Let me start by saying, oats are not the key to weight loss, but oatmeal is a great option when you’re trying to eat healthy and lose weight! It is packed with fiber, but I recommend pairing it with protein to prevent blood sugar spikes. I love mixing in protein powder or Greek yogurt right to my overnight oats. I have a thing for “dessert for breakfast” clearly. Apparently I just think of my favorite sweet treats and turn them into healthy breakfasts. I’m not upset about it! 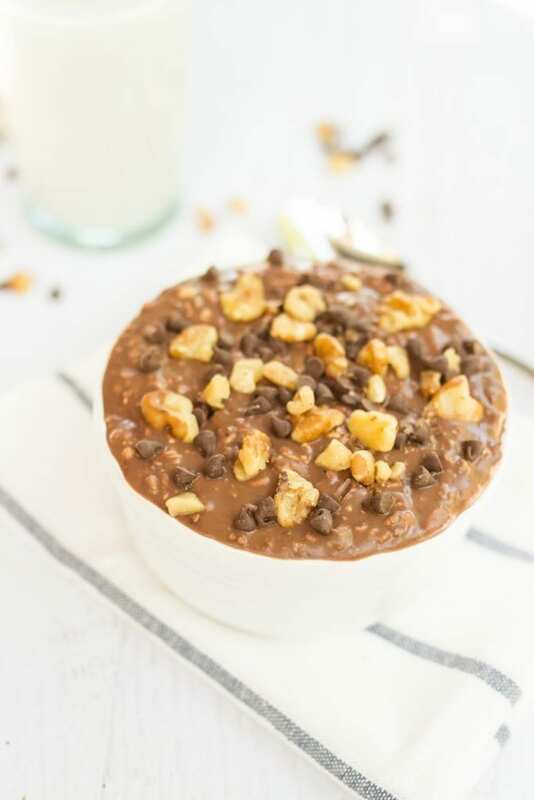 Another “dessert for breakfast” recipe that is a crowd pleaser! The almond extract in this recipe makes the oats taste so much like strawberry shortcake! Another dessert turned into breakfast… are we surprised? Does anyone not like the flavor combination of peanut butter and chocolate? Seriously wondering. It’s hard to pick my favorite overnight oats recipe but this miiiight be it. Summertime is when I really jump on the overnight oats train. I created four recipes using summer fruit…aka you don’t want to miss these recipes! Another summer favorite: zucchini bread. Enjoy this lightened up version that doesn’t skimp on flavor! If there’s one thing you take away from this round up, let it be this: always have protein with your overnight oats. 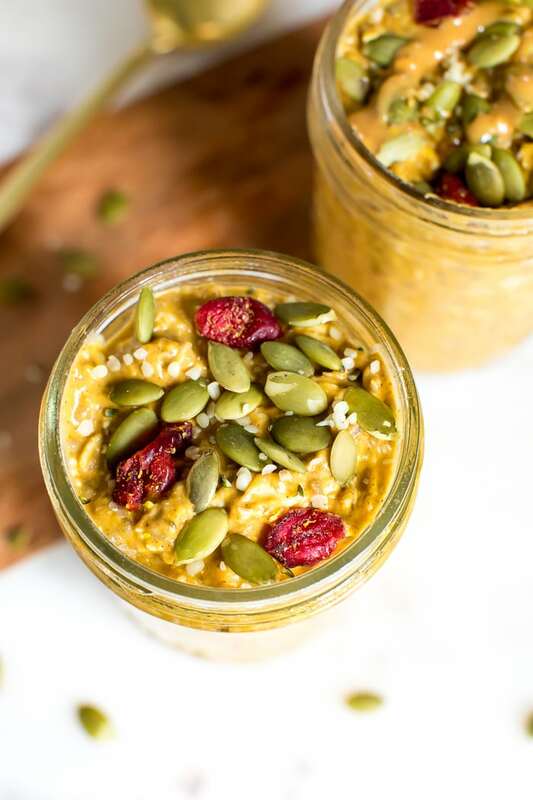 This is a simple base recipe for protein overnight oats that will keep you full for hours! I took one of my favorite childhood meals (can you call PB & J a meal?!) 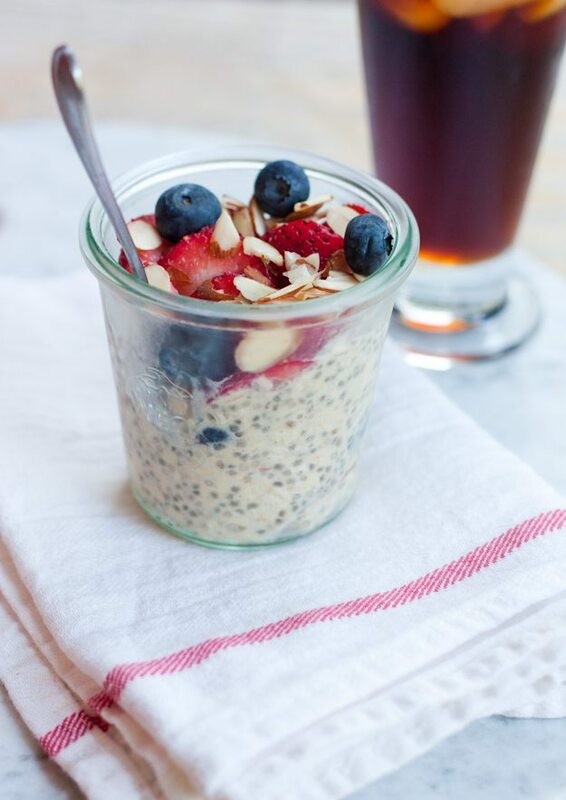 and created these delicious, layered overnight oats! This one is perfect for back-to-school season. This is my go-to recipe when fall rolls around. It’s perfect when the weather is still warm out but you’re already craving pumpkin everything! Before you get scared off and think I put actual bacon in oats, fear not! It’s my amazing coconut bacon. Please try this recipe… trust me. You can’t go wrong with the combo of chocolate and banana. Such a simple but delicious recipe! Basically a cookie for breakfast. I love the flavor combo of this recipe and there’s a good chance you have all of these ingredients in your pantry already. Does this need an explanation? 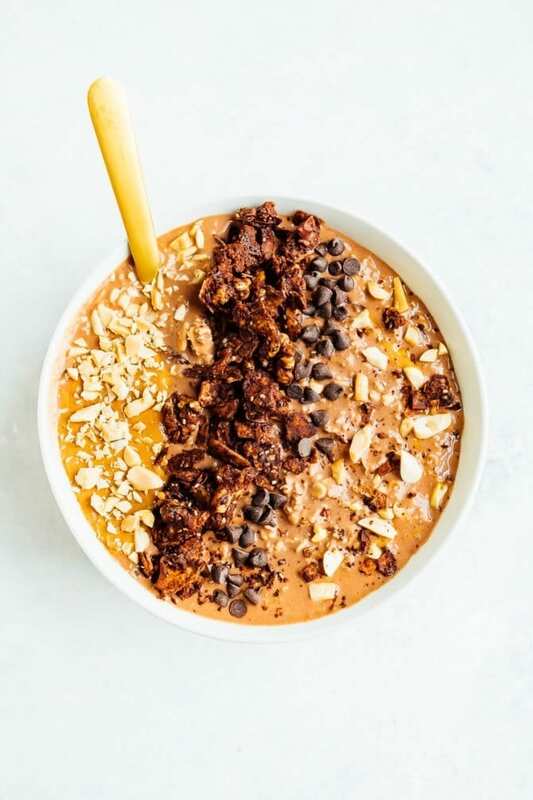 Didn’t think so, but I’ll give you one — oatmeal that tastes like brownie batter! Basically a creamsicle in a jar… so perfect for winter when citrus is at its prime. Are you eggnog lovers? 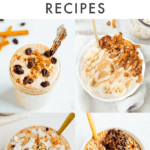 I definitely enjoy eggnog when the holidays roll around… which is where I got the inspo for this recipe! What’s your favorite overnight oat combo? Share below! I tried overnight oats and didn’t like them very much, but you’ve inspired me to re-try them as I find myself pressed for time in the AM lately. 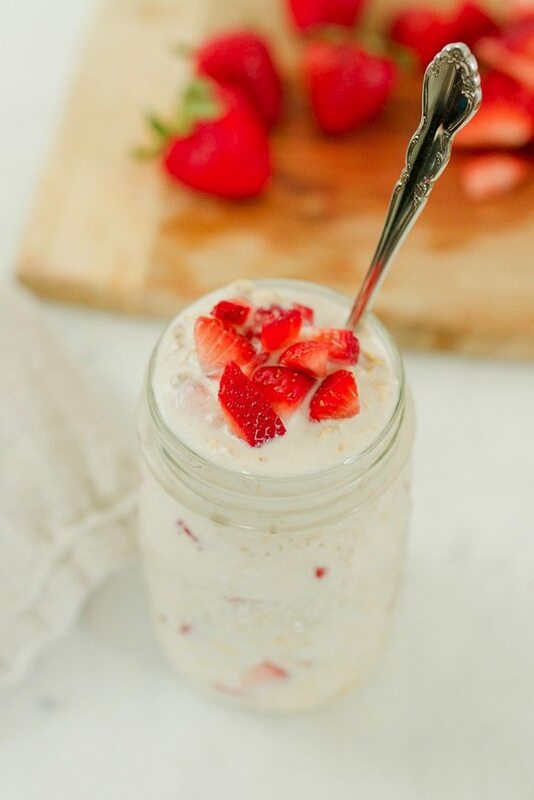 I really haven’t like the overnight oats I’ve tried, but your Tuesday batch looks delicious! How about overnight oat groats? Those are a favorite of mine. I’m going to try those – thanks for the recipe. What is maca powder? I hadn’t heard of it. I like your idea of overnight oats…I guess if you didn’t like them cold you could always heat them up quickly in the microwave. Maca powder is a super food made from maca root. I’ve heard some people describe the flavor malty or similar to butterscotch. Personally, I think it has a unique flavor that is a bit sweet, but also bitter. It definitely took some getting used to- at least for me! I’m glad you made your overnight oats with almond milk instead of yogurt because I just cannot do yogurt. I want to love it, but I don’t! Yuck. So now I’m inspired to try overnight oats since I know it can be done w/o the yogurt! And can you tell me what Kombucha tastes like? I always see it (on blogs) and at Whole Foods and I want to try it but I’m scared to wast $4 on something I won’t like. Does it have a real strong tea taste or does it taste like the flavor, I’m always tempted by the strawberry. It doesn’t have a strong tea taste- to me it’s more of a vinegar smell/taste. It took some getting used to but I love it now! I’d definitely recommend trying it. I think the health benefits are worth the hefty price tag every once in a while. Check out my post on Kombucha here. your food always looks SO good. I think after hearing all of this hype I cannot avoid making them now! I think I will try them thursday night/friday morning and then maybe I can have time to yoga in the morning after my little walk! I would try it with yogurt too though, I love yogurt very much! I’ve tried overnight oats before, but disliked them. Maybe now I’ll give them another try though! Yum! I must try overnight oats soon! I love the idea that they’re just ready to go in the morning. Also, I’m a huge kombucha fan. I admit to thinking it was a bit strange at first but the taste really does grow on you. I haven’t tried that flavor yet, but I can’t wait to! My only wish is that were cheaper–$3-$4 is a lot to pay for a poor unemployed college student like me. I would love to learn to make my own. What is the secret to overnight oats? I’ve tried twice, and when I check on the oats in the a.m., they look just like they did the night before. Is it because I’ve been using quick oats? You definitely have to use old fashioned oats! I hope that helps with your next batch! I loveeee me some oats, but I’ve never tried overnight oats! Even though I’ve been following foodie blogs forever now, haha. Now that I’m a blogger myself, I almost feel like I *have* to try overnight oats 😛 And considering I have to go to work early every morning now, I think it’s a good time to start! This is the perfect post for me. I’m totally sick of my typical oatmeal, so I’m definitely going to try this. It sounds a bit different than my typical bowl. This weekend, I’m going to stock up on the ingredients. Thanks! Thanks Brittany for all the variations of overnight oats. I need to try the Almond milk you mention, but I think I’ll try this tonight with my regular skim. I’ll let you know how it turns out. If you own one of those small crock pots, like the kind for dips and such, you can take steel cut oats and water and stick that in the crock pot overnight. Creamy, delicious and wonderful. I stir in some raisins, cinnamon and brown sugar in the morning. Just got my sun warrior in mail. Yea! 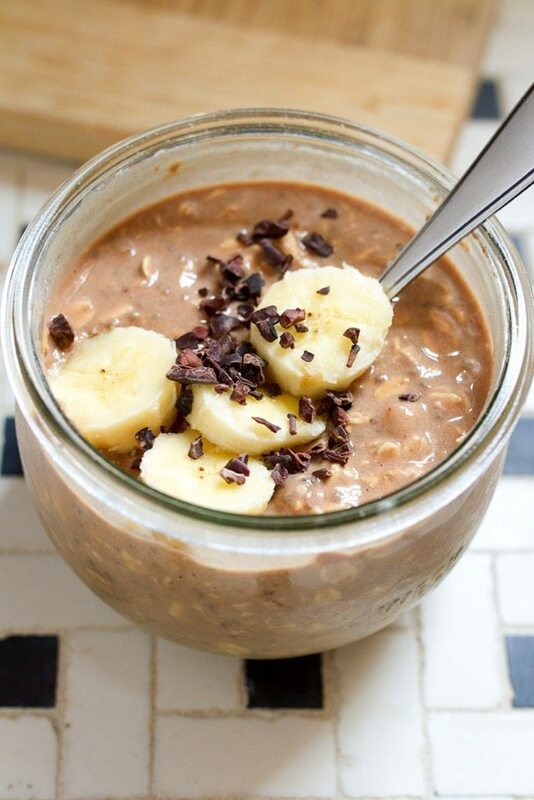 And I love my chocolate banana overnight oats. I even put some guar gum in there to make them EXTRA thick. LOVE it. Great kombucha flavor. My favorite is trilogy! I enjoy cold overnight oats, but I often add a bit more milk and microwave them for the same effect as stovetop oats. Very yummy and helps the dried fruit get all warm and juicy again! Hi Meghan@traveleatlove- I thought about microwaving some overnight oats this morning. I tried them for the first time and I hate the taste of the uncooked almond and vanilla extracts. do you use yogurt and milk or just milk? I have just discovered another Health Nut like myself. I love your website and your recipes as I am into eating healthy myself. I thought I was the only crazy person whom store oatmeal overnight to eat the next day. I have been doing that for years, but I never eat it cold. However I always heat mine up, I never eat it cold. I think I will try eating it cold, it might taste more like oatmeal pudding instead, but it is a nice idea and will save time when rushing in the morning. 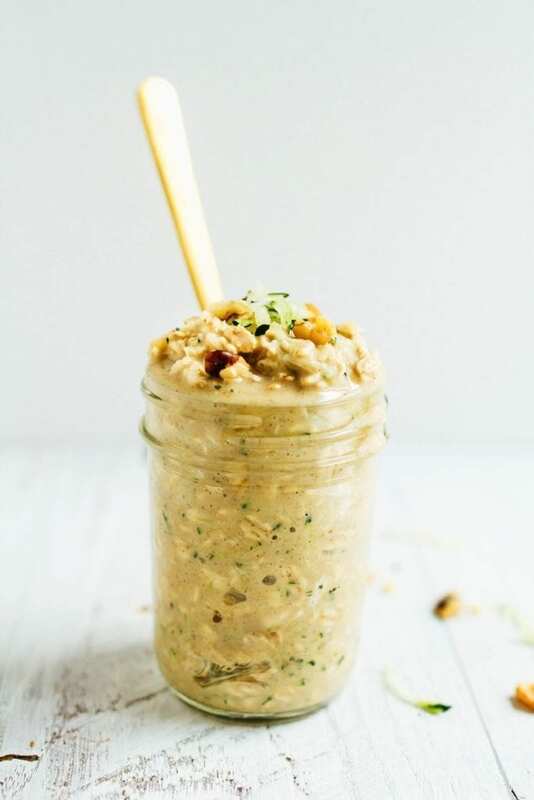 Eaten with just a sprinkle of cinnamon and less that a touch of french grey sea salt, my overnight oats were wonderfully filling (and wonderfully chewy!). My new weekend treat, thank you for sharing Miss Brittany! For the overnight oats, do you just put non-cooked oats in the mixture overnight? I have never heard of this! Is that all?! Cheryl – Yup, just non cooked, old fashioned oats! I hope you enjoy them. I’ve never tried overnight oats with milk, but have used apple juice to soak the oats in overnight, and it is delicious. When I’ve used apple juice, I like to mix in some grated apple, nuts, cinnamon, etc. I’m definitely going to try soaking with milk and see how it is too! Thanks for the recipes! Made the the Monday Overnight Oats, LOVED THEM!!! Super yummy! Loved the texture! Thank you! Hi – I notice you use Maca, I recently learned about this and was wondering if you feel its said benefits? Hi Dana, To be honest I don’t think I use maca powder regularly enough to notice if I’m experiencing any of the benefits it’s touted for. Great blog! I love your overnight oat recipes. It’s the perfect breakfast when I’m crunched for time in the morning. I was looking for overnight oat recipes as I always rushing the morning & have no time to prepare breakfast. Thanks for sharing! I hope you enjoy the recipes Sandy! This does not sound that different from a standard European breakfast of muesli, but is probably new to most Americans. If you like overnight oats, you would probably like Bircher Muesli (Google to find many recipes). 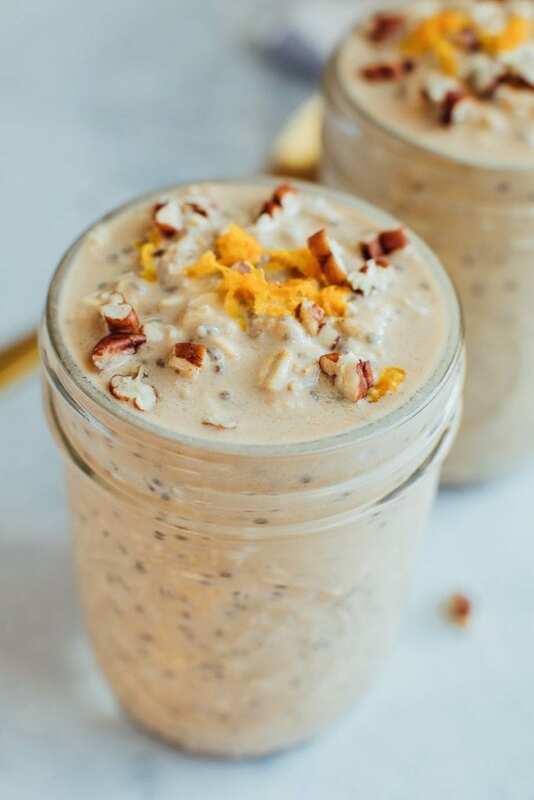 There are many variations on the original, but generally it is muesli (mixture of oats and maybe some other rolled grains and bran, dried fruit and nuts mixed with fruit juice (generally orange and lemon), yogurt, milk (could use soymilk) and soaked overnight. Add fresh fruit before serving and sweeten with honey – I like some combination of apples, cherries, grapes, blueberries, pineapple. It is really delicious and keeps for a few days, so it is easy to make up a big bowl. You don’t need to buy a packaged muesli to use – can make your own with just thick cut oats, dried fruits and nuts. I have been eating overnight oats for ages and I love them! In my house we call it Bircher muesli-I believe it is named after a doctor from Switzerland… But don’t quote me on that! We sometimes soak our oats in half water half freshly squeezed orange juice and add a grated apple, walnuts and raisins in the morning. So delicious! 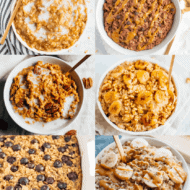 WOW… You and I are totally on the same page about oatmeal and how to really jazz it up! I do it everyday, but have yet to try PB in it… that will be next. 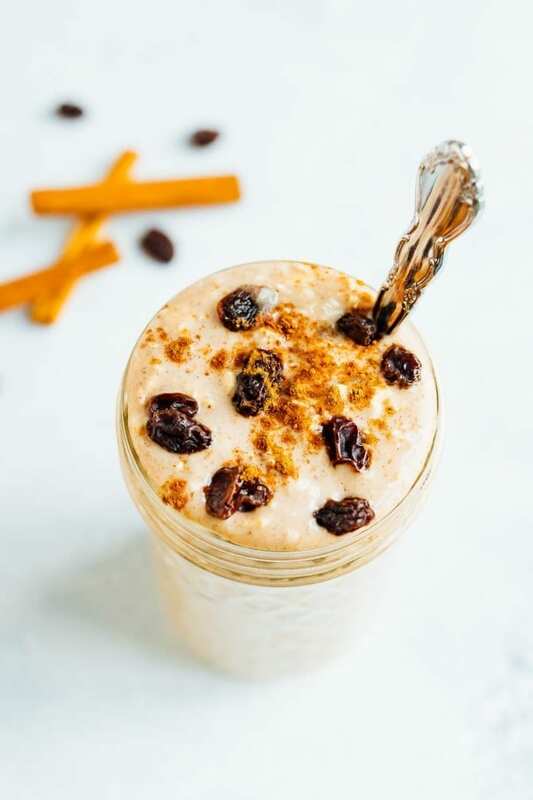 A really amazing concoction you may want to try is Oats, vanilla almond milk, pumpkin spice, scoop of canned pumpkin, dried cranberries. I bet you will LOVE IT! That sounds like an amazing combo Chrissy. Thanks for sharing! Just stumbled on to your blog and am so glad i did, i was wondering what i was going to do in the hot months for breakfast. I knew i couldn’t do my usual bowl of hot oats, now i can do overnight oats. Thanks for all the idea’s! So glad you enjoyed them Kim!! FINALLY! I have tried the overnight oats (8 months this took). I have never been so excited to get up and eat breakfast b/f in my life. That good. Love the consistency and the possible combos are endless. My boys love them too and it is a great way for me to fill them with all kinds of goodness to start off their day. Thanks!!!! Hooray! I’m so glad you enjoyed the overnight oats Ranny!! I love overnight oats! Have you tried them with yogurt? I put in 1/2 cup oats, 1/2 cup unsweetened almond milk, and 1/2 cup greek yogurt. When I take out to eat, I add 1 teasp of brown sugar and some walnuts or almonds. It’s one of the very few things that keeps me from being hungry before lunch. So sometimes I eat it for lunch too, and it holds me from snacking in the afternoon. I tried to make the overnight oats last night and they didn’t turn out as well as your picture. The oats hadn’t absorbed a lot of the milk when I took it out of the fridge this morning. How long should it sit in the fridge? I put mine in around 9:30pm and took it out around 7:45 am. Also, do you think it works better with milk or water? We personally love kombucha tea. It is the best since and prefer many different types but berry passion is one of my favorites. Did you hear about that kombucha app? I think it looks very impressive, I’m going to buy it. First I was a bit hesitant about having cold otmeal for breakfast. I gave it a try though and I love it!! I wake up in the morning, leave it at room tempreture until I’am ready to eat. 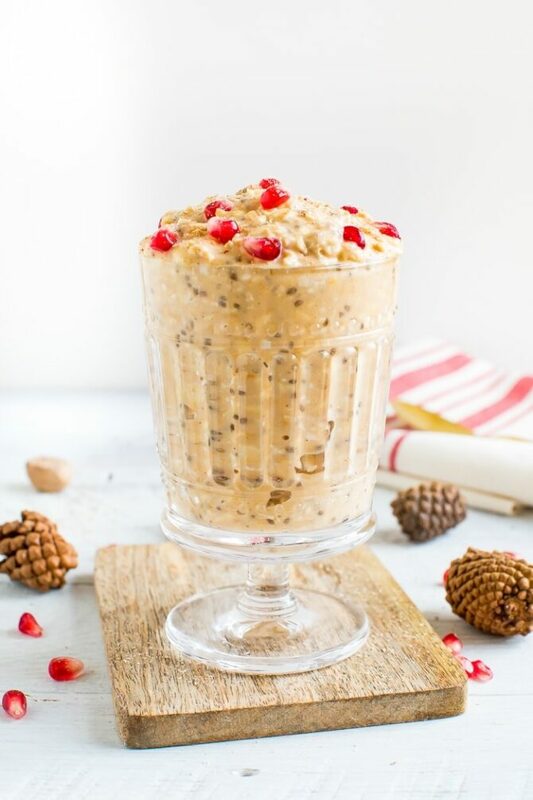 I LOVE overnight oats mixed with chia! Also love adding some almond essence sometimes to go with the almond milk. whichever way- what a delicious breakfast! 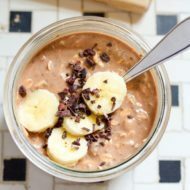 I have heard that overnight oats are good with just oats and unsweetened applesauce, but I haven’t tried it yet, because I am not sure how of each ingredient is needed. Based on your post, I bet a 1/2 cup of each would work though. When I was little I always looked forward to breakfast as I got to eat oatmeal every morning. I boil the liquid for oatmeal, then add the oats and when it foams, I remove the pan to the spot on the stove above the pilot light and cover it. It is WARM and ready to eat the next morning. Also works with those finicky steel-cut oats that take forever to cook. Thanks for sharing. I’ll have to try this idea for steel cut oats, it sounds lovely. it’s 6:08AM and i’m half way through my first ever Traditional Overnight Oats before starting the day with a little GTL (had to say it even though there definitely won’t be any tanning and likely no laundry). I started to make the overnight oats with milk, yogurt, oats, chia seed, and 1 scoop of the vanilla sun warrior brown rice protein powder. Slice up a banana in it the next morning, fantastic! I have been an avid user of oats for a long time. My preference is to use them raw straight into the cereal bowl. No overnight soaking required. Then topped with a banana, frozen blueberries and whatever fresh fruit is in season – right now it is plums. With a generous splash of skim milk you have a nutty and crunchy ( my wife says chewy) low GI start to the day. 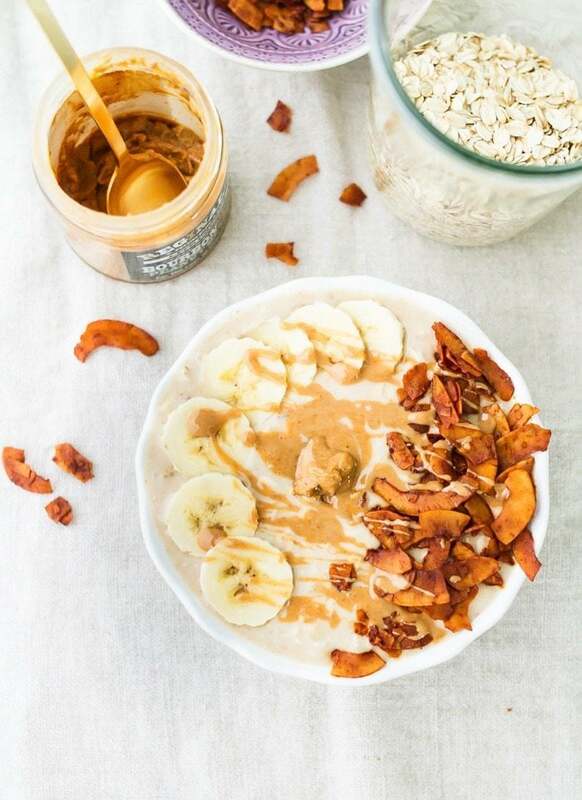 Your cool, creamy overnight oats are brilliant! I’ve been having a green smoothie each day for breakfast and taking the overnight oats to work for lunch. I feel great. Thank you! 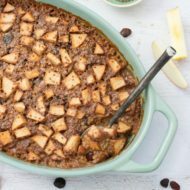 Have you tried this with steel cut oats? Does it work? I have bobs red milk instant steel cut oats.